Anatomical research can't be much different to preparing the Thanksgiving or Christmas turkey, can it? However, I draw the line at brains. Don't know why but thin slices of grey cauliflower give me the creeps. I don't think it's just down to a couple of bad school dinners. The female praying mantis frequently decapitates and eats her mate. Talk about pressure on the first date! 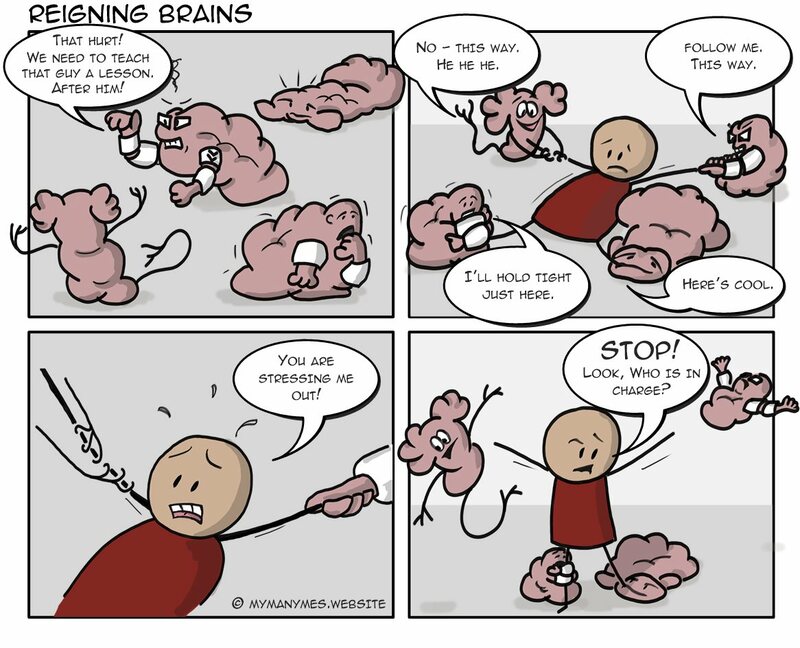 Fortunately, brain researchers have far stronger stomachs than mine and they tell me that my brain is composed of different parts and each part performs a different function. If I have different parts of my brain pushing me to do different things, then it stands to reason, that sometimes, they are not necessarily going to all push or pull in the same direction. If they pull hard in opposite directions, this is going to cause me mental stress. Stress is unpleasant so people will avoid it and this results in behaviour such as procrastination. Stress is not necessarily bad as it can encourage you change things for the better. "Bad" stress is called distress and "good" stress is eustress.